Wouldn’t that be a great concept? I cannot complain though. I had an awesome answer to prayer a couple of Monday’s ago when the Dr’s office called and told me there was no need for me to even show up at my appointment to have them see me! They did not see a reason that I needed to be there based on the review of my lab work – Praise the Lord! 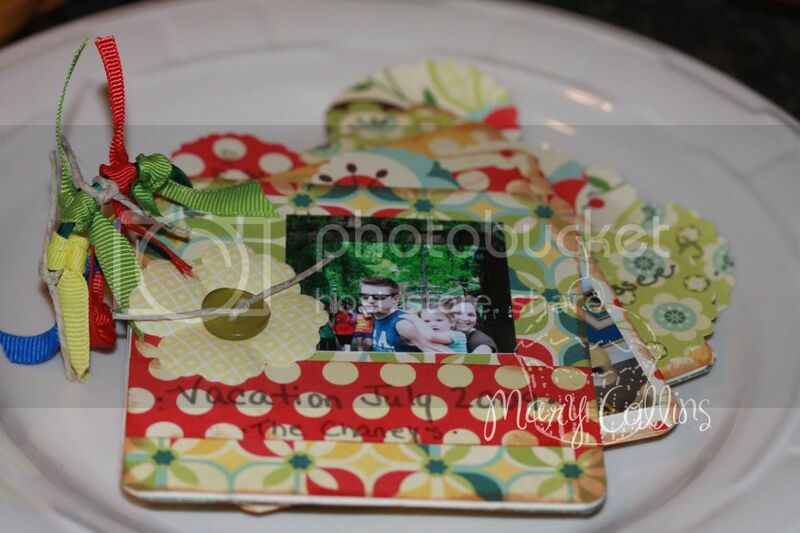 Today’s project however is a Mini Album for the August Challenge of the Month over at Christian Paper Crafts. Since I am really not into making small cards, because I find that I do not use them, I wanted to go the scrapbook route of this challenge. Also, I needed to be getting ahead on some upcoming holidays since I am in school, and what better way than to play along and get things accomplished! Double the fun! 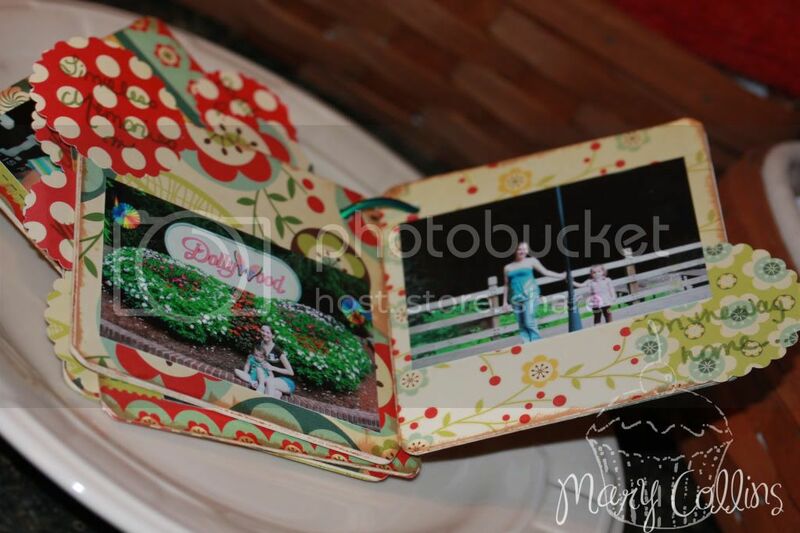 This mini album is for my dear friend Kara. It is of the vacation that she, her husband, and their little girl took this summer. I was able to get hold of some of her pictures without her knowing and plan to surprise her for her birthday with this. Unless she accidently stumbles upon my blog and sees today (-I really don’t think that will happen though)! If so *waves – hi Kara*! Papers are Cosmo Cricket from the Early Bird line – still some left at His Princess Scrapbook Kits if you are interested. Mini album and ring also from His Princess Scrapbook Kits. Other items used in the album are just little somethings I found lying around the scrapbook area! I hope that you have a wonderful day! I have my Diabetes Support Group to teach tonight – so it will be a L-O-N-G day for me! Often when you see about gifts for teachers, they include the following elements: Apples, Black, Green, White, Yellow, and a child's handwriting for the font. However, I wanted to do something a little different since we are making gifts for different teachers. Since Abby is not in school, her teachers are Sunday School teachers. For the next couple of weeks, join me here as we go on a journey for Sunday School teacher gifts we can make and give while having fun, making others smile, and without spending a fortune! First up is a card. I wonder how long it has been since your Sunday School teacher got a card thanking them for what they do? They are very special teachers you know, no monetary pay, but happily waiting on their Heavenly reward. I know many of them pour so much time into their classes that goes un-noticed by those who have never taught Sunday School. Old Stampin Up (long retired) stamps, and some PTI cardstock. American Crafts for the ribbon and Prima made the flower!! Oh, and it follows the Sweet n Sassy Sweet Spot Sketch SSS17. Good morning! For Scripture Saturday, I would like to refer each of you to the 1st Book of Corinthians, chapter 13. Specifically verse 7, but you really need to begin at the beginning of the chapter. It really is a great read. Today's scripture verse selection is 1 Corinthians 14:7. I never have gotten around to scrapbooking our wedding. 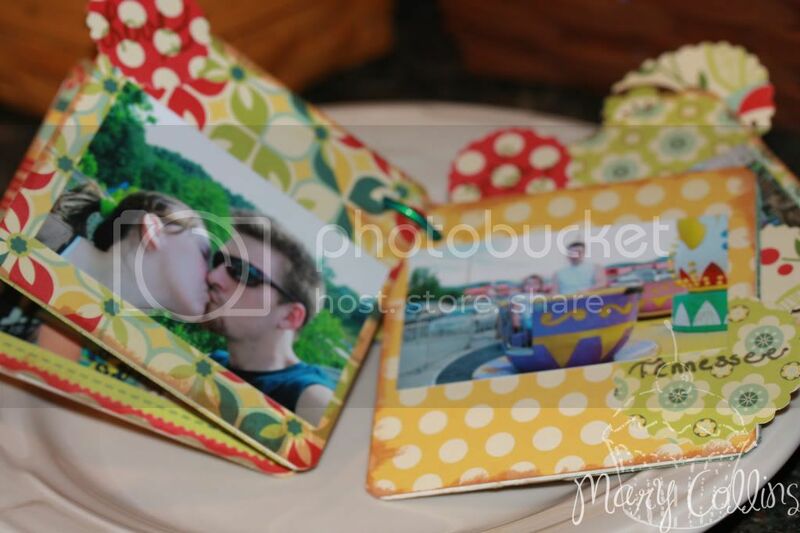 Gary & I were married over 5 years ago, but for some reason, I just never have scrapbooked the pictures. It seems the longer I put it off, the easier it is to come up with excuses not to do it... I am going to try to commit to making at least one wedding page per week, in hopes that I will have a complete wedding album by the end of the year, or the beginning of next year. In effort to give myself some credit, I did make a small mini album right after the wedding, just not what I wanted to fully accomplish! Today I decided to use wedding pictures, along with the Tuesday Sketch #19 for my Scripture Saturday page! Right on Time, Early Preparations & A Contest!!! For the last week I have been a little under the weather with a sinus infection...ugh! I have been very blessed to actually feel well enough to participate in today's challenge over at CPC. Fun on Friday is a challenge where you never know exactly what you are going to find - you just know it will be fun! This week's challenge was to use fabric, and I have to admit, this is the FIRST time that I can remember ever using fabric on a card! It did get me inspired though - as soon as the weather turns off cold again - my quilting supplies are coming back out and I am determined to get one of my quilts finished this winter! Pray for me in that endeavor! Oh, and this also follows 2Sketches4You's sketch challenge this week! All cardstock is Papertrey ink, stamps are all PTI as well! 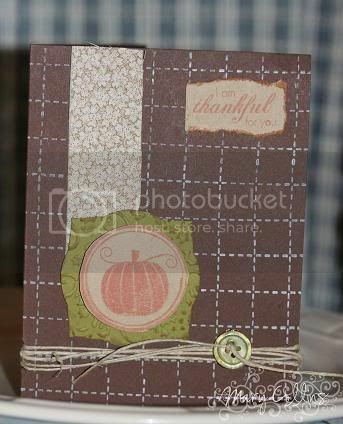 I just love this embossing folder of pumpkins and vines for the cuttlebug. I think adding the distressing on there made it suite the old tractor (from SU tractor time - long ago retired - sorry) just right! 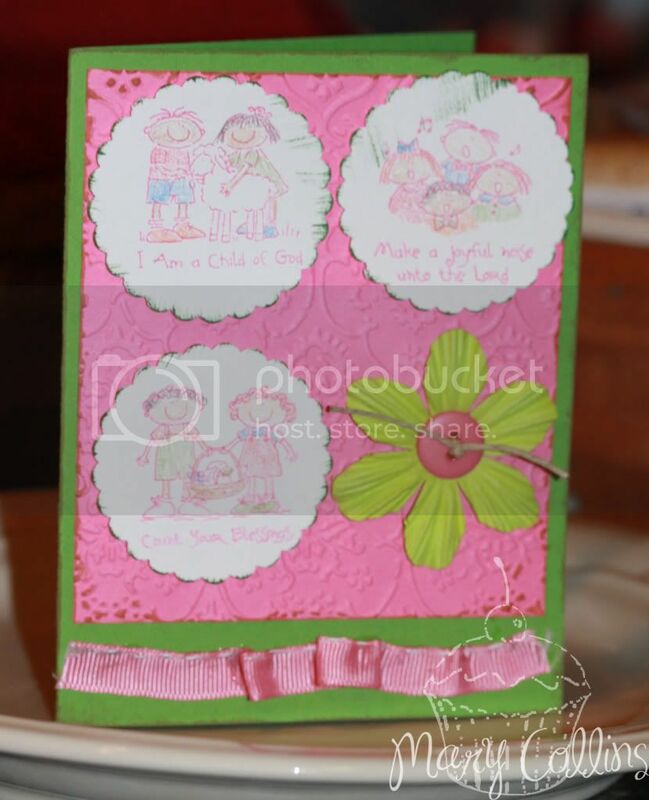 The jute and button were the addition to complete the card - however I hope the button does not make it look to girly. 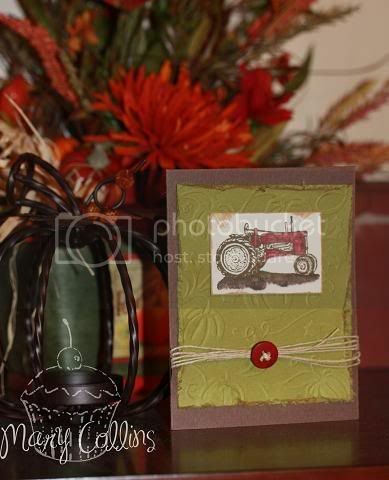 I guess that's one good thing about making a card for your daddy - he would never say it didn't look good :o) Oh, and by the way, the tractor is red, because that's the color of my Dad's old FORD tractor! Colored with copics. 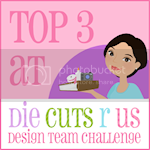 We have two "challenges" of sorts with some great prizes by Our Daily Bread Designs that we'd love for you to participate in. The first is a membership drive from August 31 to September 4. 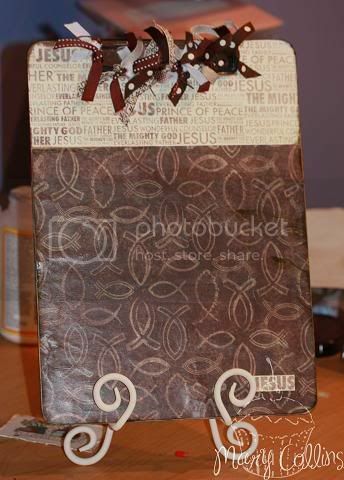 Tell your friends about Christian Paper Crafts to sign up and participate. In the Referral section when they sign up, all they have to do is put your name. We will tally up the results at the end of the week and the winner will receive a newly released stamp set from Our Daily Bread Designs. The second challenge is a posting challenge that runs from September 7 through September 11. When you make comments in the gallery, this also counts as a post. Let us know what your number of posts are at the beginning of the challenge and what they are at the end of the challenge. 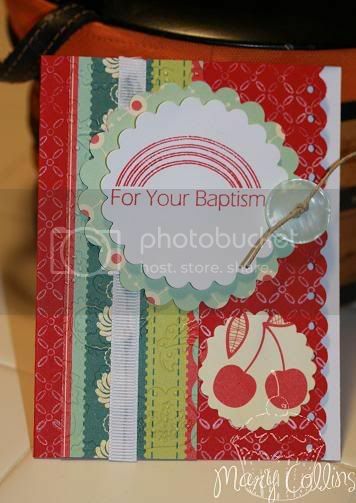 The winner will also receive a newly released stamp set from Our Daily Bread Designs. A special board will be set up for the second challenge for you to post your starting and ending numbers. We look forward watching our community grow to spread the Gospel of Jesus Christ and glorify Him in everything that we do! As a bonus from me, if you come back here to my blog, become a follower, and leave me a comment telling me you did so, I will enter you in a random drawing for some blog candy to be given away from me in celebration of Christian Paper Crafts contests - winner will be announced on my blog Sept. 12th!! Hey y'all! Today is Bible verse Thursday over at CPC. Now when you look at my challenge, it does not match this weeks challenge, wanna know why? It's because I am just now getting around to last weeks!! Due to some lovely sinus issues we have all had in my family - needless to say, there was not much paper-crafting getting done!! But, without further adue, here is one of my FAVORITE cards!! The challenge was to pair a Bible verse with a cross of some sort on your card! I looked high and low and could not find a cross one in my stash, so... I made one with buttons :o) Oh, and I also followed The Sweet Spot's SSS16 from a couple of weeks ago for my sketch layout!! 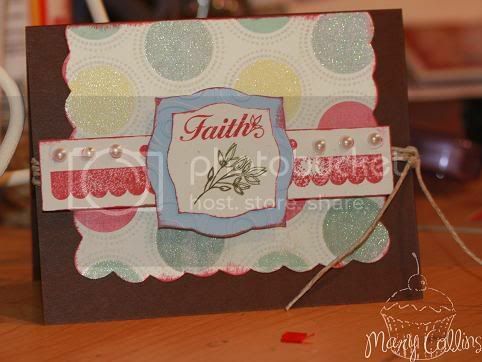 Oh, and it's Sketch Tuesday over at Christian Paper Crafts! Go on over to see what Alisa has whipped up! In the book of Philippians, chapter 4, we are told to make our requests known to God. Our church, like most other churches do, has a prayer list sitting in the foyer for people to list their requests on. The list was always on a clipboard to make it easier to keep up with. However, since I have started reading more about Spiritual Gifts lately, I decided to share my gift of paper-crafting with the church, since it is from God in the first place! I placed the new Prayer Request Clipboard on the desk in the foyer just yesterday. 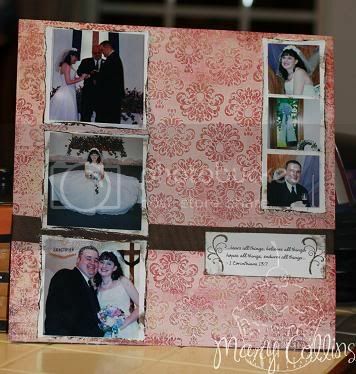 I used papers from Hobby Lobby, Mod Podge, & Tim Holtz distressing ink! Don't forget that tomorrow is Color Monday over at Christian Paper Crafts! Come join us! 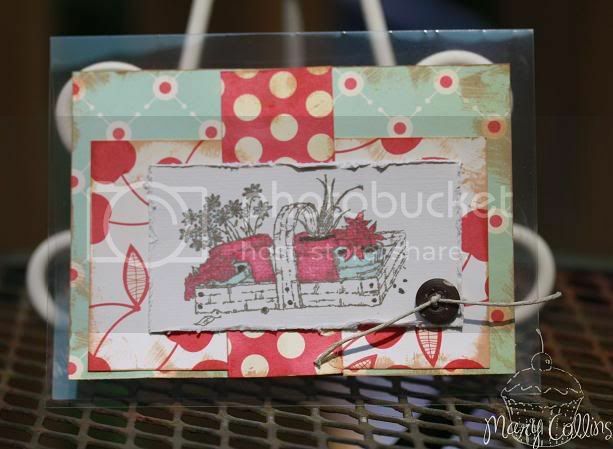 This card is one I made for the challenge over at 2Sketches4You this week. Hope you enjoy! Hopefully technology will cooperate and this week can be back to blogging as normal!! This next card is for this weeks challenge over at The Cuttlebug Spot. I used swiss dots and one other folder (unsure of the name) on here! I also followed along with a Mojo Monday sketch! I loved using the non-traditional colors to make an invitation to a BBQ! Maybe we will have a BBQ at our house on Labor Day since hubby and I are both off work that day! What powerful words that we are given here. You know, this verse one of the most easiest that I can explain (this part of it), is that we are to be strong and courageous knowing that God is with us. However, we also must remember that all strength and courage comes through the Father! Please visit Christian Paper Crafts to play along with today's Scripture Saturday!! Here is mine! Sorry to run, but we have church conference early this morning! Have a blessed weekend! Hi everyone!! Almost Friday - can you feel it coming? I'm still cranking out pages for the lake scrapbook - it's coming along nicely! My hope is that through creating this scrapbook and showing the creativity the Lord has blessed me with, along with the wonderful ways the Lord has blessed us, that we are letting our lights shine through to family who is lost. I titled today thankful Thursday, because I am thankful. Thankful I have a God who is still in the saving and healing business after all this time! Just as early this week, Cosmo Cricket Early Bird is my paper of choice from His Princess Scrapbook Kits along with a little bit of PTI Ocean Tides. The stamped image and sentiment are from PTI also (Love Song), and the ink is Pure Poppy!! Meet Abby and her Granny! We are out on the boat with the lovely lake as our background!! 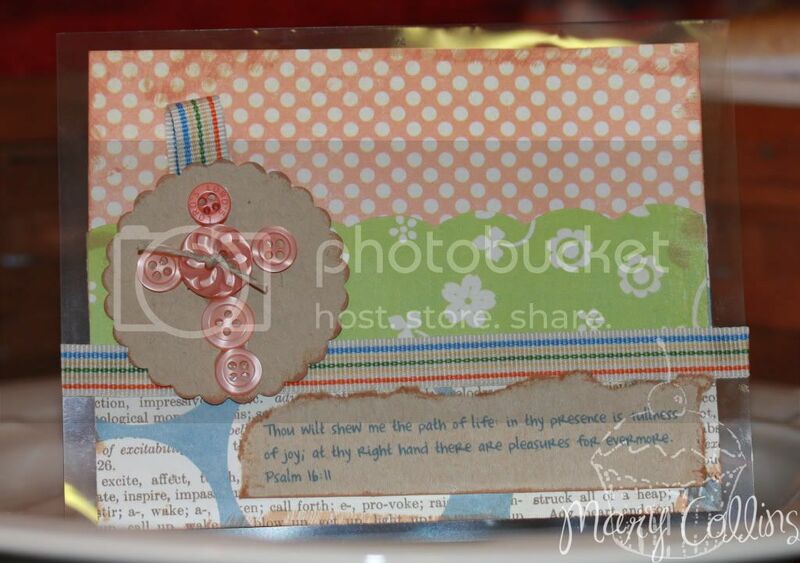 Today is Bible Verse Thursday over at Christian Paper Crafts - go try it out! Okay, I've been busting at the seams to tell ever since I was asked, but I had to keep it quiet for a bit! I guess that I can post now since it is up on the homepage of the site today... 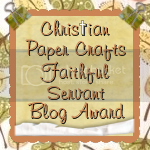 I have been asked to be on the Christian Paper Crafts Design team! (I know *faint*)! I truly do feel so blessed to have been asked to be a part of this work for the Lord! 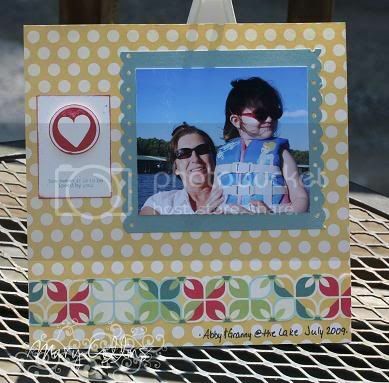 I have been busy as a bee so to speak working on the scrapbook I started last year of our ventures to the lake! I filled part of it up last year, but wanted to add this years photos in to make it more complete before showing my in-laws! 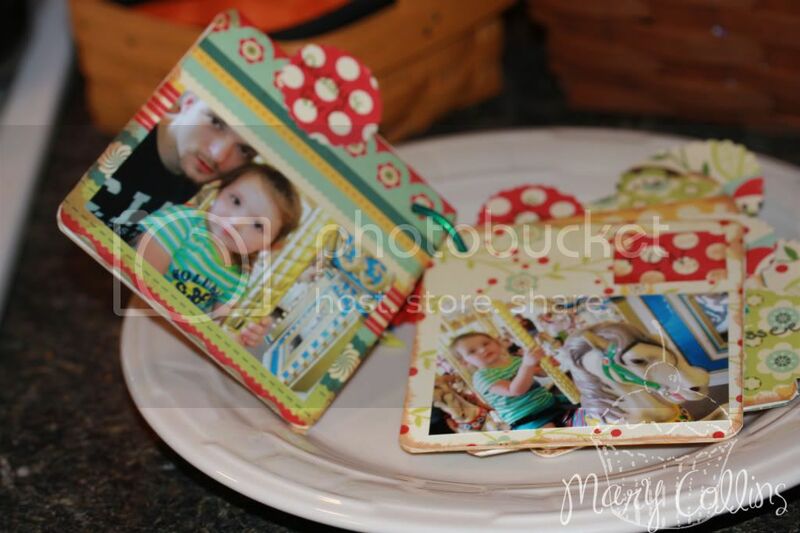 The pages are all 8x8, so they are fun and easy to make! This year, I have been using a lot of Cosmo Cricket Early Bird paper from the kit of the month from His Princess Scrapbook Kits for my pages! It is amazing how versitile this paper is. I know that the "theme" of it is supposed to be kitchen and cooking, but just look at my lake pages - there's not a cookbook feel at all! Found in this page, you can see the loves of my life! 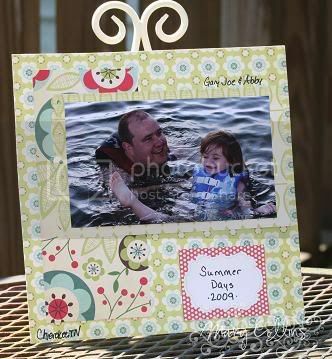 My wonderful hubby and sweet little daughter Abby as they are swimming in the lake! 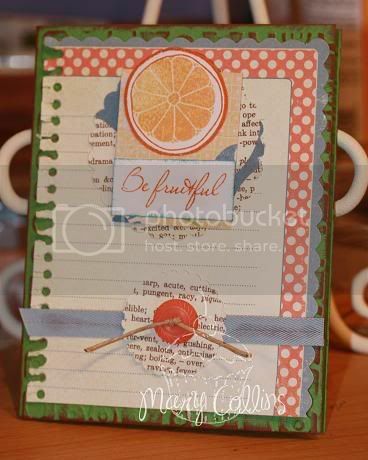 Hey, today is Color Monday over at Christian Paper Crafts - why not go try it out! Good afternoon everyone! I hope everyone that drops by the blog regularly has not dropped off since I have not posted in a week! I was having some major computer trouble... Well, really not major, but my computer would not type correctly in Internet Explorer and Firefox would not submit things properly! Long story made short, Abby (yes the 2 year old), hit some buttons on Thursday that caused me to have to sit down and work on the computer for almost 2 hours (it locked up EVERYTHING - Windows would not open), and after that we have been working fine!! Today's Scripture Saturday scripture is from Joshua chapter 10 verse 25. 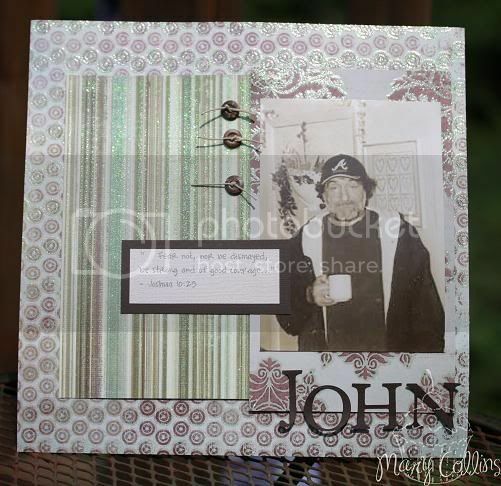 I only used part of the verse on my page, which is of my dear Uncle John who passed away this past June. He and I were very close so this was a difficult page to make. If you notice, I have not done any journaling on the page yet except the verse. Perhaps one day I will be able to write my journaling on there, if not, I think the verse sums it all up. He was very strong and courageous all throughout his fight with brain cancer. He battled it over 4 years before going home to be with the Lord. Very strong and courageous if you ask me for a brain cancer that the medical field only gives a year life expectancy for!! 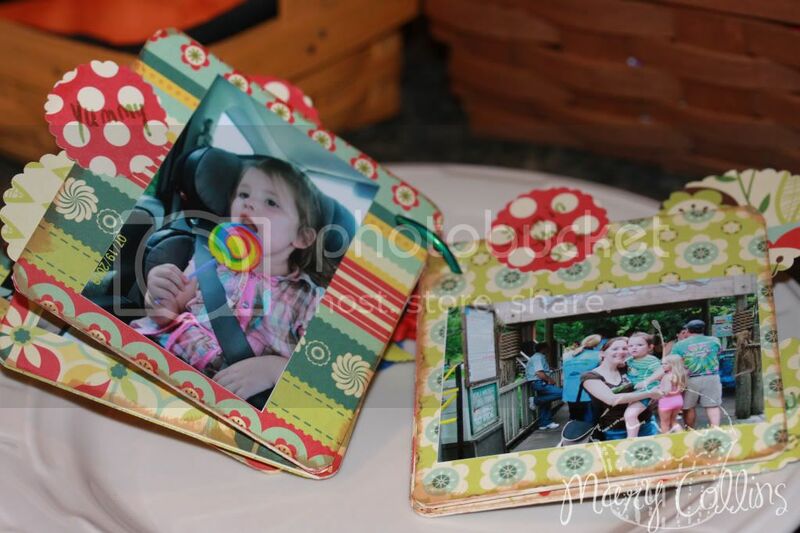 Come play along over at Christian Paper Crafts! Remember, there is no time limit, but please use SS003 and let us know if you upload or blog it anywhere!! This project is my card for 2Sketches4You this week! 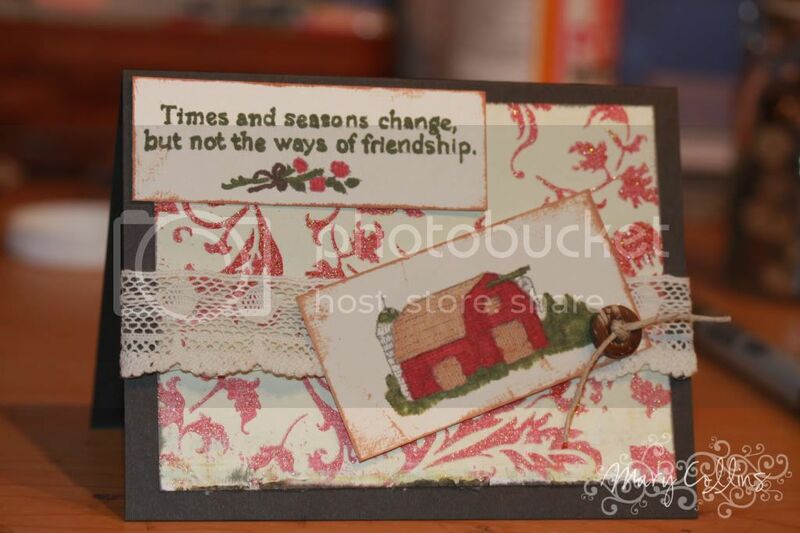 I used Cosmo Cricut papers and the stamp set is an oldie from SU Long Time Friend I think... The papers are all included in the His Princess Scrapbook Kits kit for this month! Today's scripture is 1 Samuel 1:27. 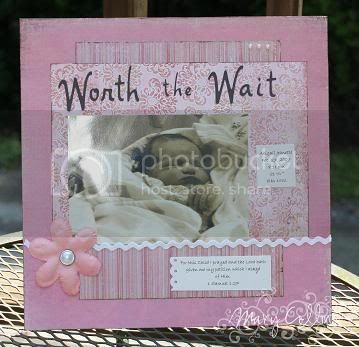 I decided to use it on a scrapbook page of my little Abby when she was a newborn. If anyone knows us, or read my blog when I was pregnant with her, then you know how we did just what the scripture says. We prayed! While pregnant with Abigail, some of my lab work kept coming back abnormal, causing me to have to go see a specialist. The visit was very scary in that they told us all the things that they believed could be wrong with our little one. We prayed and prayed and guess what? Today she is a happy, HEALTHY, 2 year old running wild through the house! 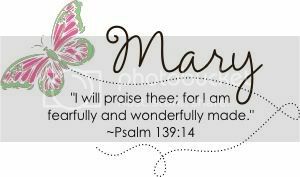 Have a wonderful day & don't forget to stop by Christian Paper Crafts leaving a link to your page with today's Scripture!